For over 30 years, S Michlmayr & Company Ltd have specialised in the preservation and restoration of timepieces, from the finest quality precision watch repairs to the manufacture and maintenance of some of the largest clocks in the country. Our watch servicing department is the largest in the region and Simon Michlmayr is proud to have been a fully accredited Rolex watchmaker for over 28 years. We are also a certified Omega Service Centre offering Omega watch repairs and servicing. Our watch makers have established a reputation nationally, providing horological services to individual members of the public, trade customers, public and private sector organisations, cathedrals and churches. Our watch and clock repairs are carried out in our purpose built, modern, spacious and well equipped workshop and all of our highly skilled team are Swiss trained or time served. Simon Michlmayr, Fellow of the British Horological Institute, has been a fully accredited Rolex watchmaker since 1989. 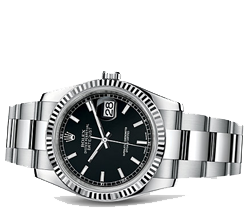 He has been approved by Rolex to carry out Rolex repairs and servicing to Rolex watches. Regular assessments by the Rolex Watch Company ensure that we are at the forefront of their high standards. We always use genuine parts and all Rolex servicing is offered with a 24 month warranty. Rolex were established in 1905 and, along with the first waterproof wristwatch, have created many innovations over the years. The iconic Rolex Submariner first hit the marketplace in 1953 and has dominated the luxury watch market ever since, with its timeless design, rotatable bezel and 100m water resistance. It has gone on to influence the design of countless watches. A Rolex service will bring your watch back to its best, detecting any issues with the movement before they become a problem. Each part of the mechanism, case and bracelet is disassembled and meticulously cleaned, and all moving parts are lubricated. 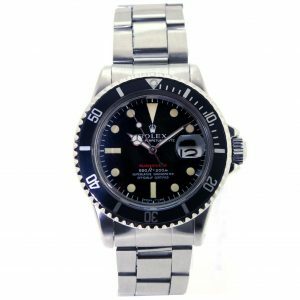 Any parts found to be faulty will be replaced with genuine Rolex parts to uphold the quality and guarantees offered by Rolex. We also offer pressure testing after the repair allowing your timepiece to retain its water resistant status. When your Rolex is serviced by Michlmayr & Co, you can rest assured that it is in safe hands. 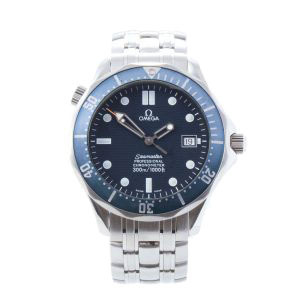 We have been a certified Omega service centre for many years, with the precision skills to repair and service Omega timepieces, including the Seamaster range, with the same care and passion that you receive from Omega. We will only ever fit genuine parts in all of our Omega repairs, which are ordered directly from the manufacturer. All Omega watches serviced by us are guaranteed for 24 months with our Omega servicing. Omega have been crafting and selling the finest watches for over 160 years. They’ve worked hard to create watches that will work in space, the ocean, and for men and women from all backgrounds. Omega have a long history of designing and constructing important watches, their most notable and captivating pieces are on display in their museum. What sets us apart from many other Omega repairs is that we specialise in repairing vintage models. Simon Michlmayr FBHI has a wealth of knowledge and experience from growing up servicing Omega watches with his father whose business was also an Omega Service Centre from the 1970s onwards. Every watch we handle via Omega servicing is looked after to the highest standards and our team take pride in returning every timepiece to its original condition and specification. Our expert watchmakers have the expertise and credentials to offer the best service for your Longines timepiece. 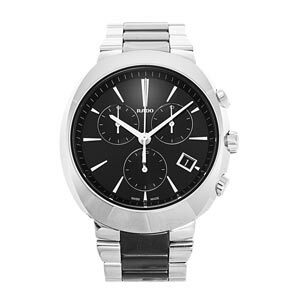 As a certified service centre, we offer Longines repairs and servicing to the high standard you would expect. Genuine parts are used wherever possible and all Longines watches serviced by us are guaranteed for 12 months. Longines is a prestigious watchmaker with a long and illustrious history dating back to 1832. Founded 185 years ago by Auguste Agassiz, they began by making and selling pocket watches. Longines incorporated their name into every dial, and engraved their infamous winged hourglass on the movements – this became part of their recognisable staple design. In 1913, they produced their first calibre for a wristwatch. 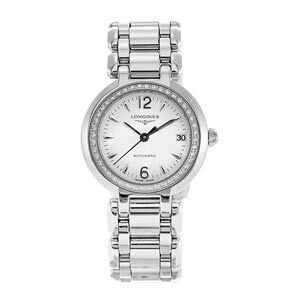 We pride ourselves in upholding Longines' high standards of service. Our Longines servicing includes precision cleaning of the movement, incorporating each component and the repair or replacement of any faulty or worn parts. We also disassemble and clean the case and bracelet to return your timepiece to its original condition. S Michlmayr & Co is a certified service centre for Tissot repairs and servicing, offering the highest Tissot quality standards. We will always use Genuine Parts, wherever possible and if unavailable, we will source the best suitable alternative to maintain the quality of your timepiece. 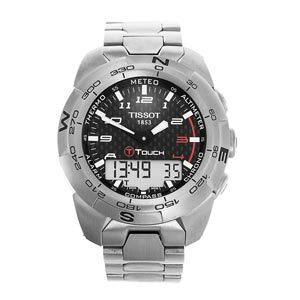 Tissot are a Swiss brand established in 1853, proudly displaying the Swiss cross within its logo. They have been part of the formidable Swatch group since 1983 and continue to sell extremely well throughout the world, presenting themselves as an accessible luxury brand. The mechanical movement in a Tissot contains an average of 100 parts and each of these need to be regularly oiled and cleaned to guarantee accuracy. Tissot recommend servicing your Tissot timepiece every 4 to 5 years and this service also ensures that any worn components can be replaced as necessary. As a certified Rado service centre, we have the skill, expertise and credentials to undertake Rado watch servicing with the utmost care and precision. Where possible, we will always use genuine parts and if unavailable, we will find or manufacture a suitable alternative. All Rado watches serviced by us are guaranteed for 12 months. Brothers; Fritz, Ernst, and Werner founded Rado in 1917, and by the end of World War 2, they were the largest watch producers in the world. By the end of the ‘50’s they were an international brand, and selling their watches in 61 countries. Nowadays, they’re recognised for their innovative and durable watches. Rado pride themselves on their use of cutting-edge materials to provide the best comfort and design in their range of luxury timepieces. Our expert team have vast experience in handling these materials and treating them with care and precision to bring them back to their original high standard. Our Rado servicing includes the careful disassembly of all of the individual components and a thorough cleaning of all parts, including the case and bracelet. You can expect the highest standards of care for your Rado timepiece. 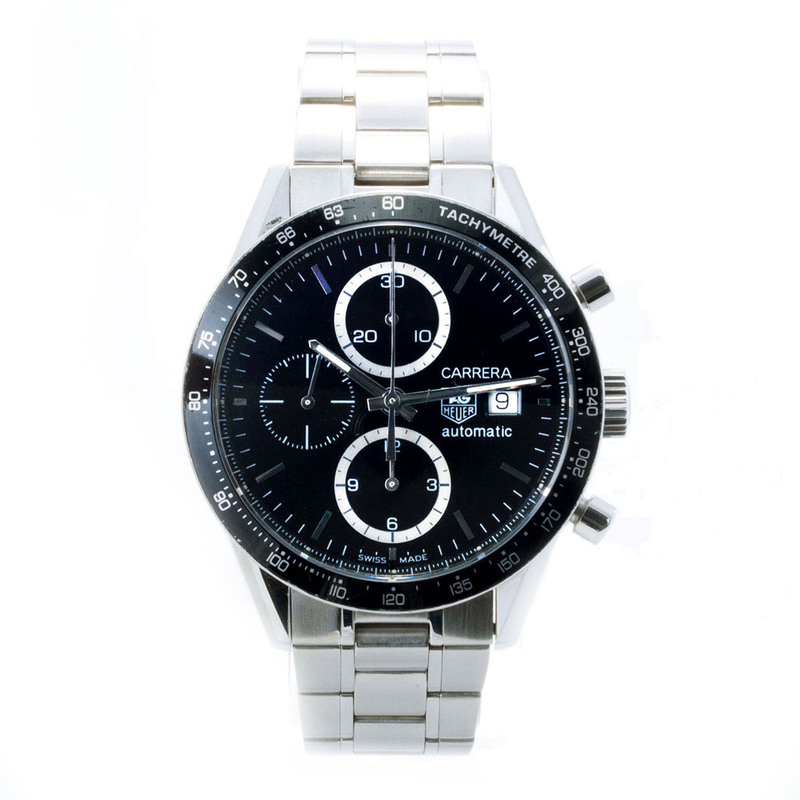 We are approved to carry out repairs on all TAG Heuer models, including the Carrera and Aquaracer ranges. Our TAG Heuer repairs are carried out to the very highest standards and wherever possible, we will always use genuine parts to repair your precious timepiece and all TAG Heuer watches serviced by us are guaranteed for 12 months. TAG Heuer another prestigious Swiss brand manufacturing high quality watches on a large scale. They have enjoyed a long affiliation with motorsport, boasting Juan Manuel Fangio, Ayrton Senna and Lewis Hamilton to name but a few. Servicing your TAG Heuer with Michlmayr & Co ensures that your timepiece is handled, cleaned and repaired by expert horologists to the highest standards. We will thoroughly test your timepiece to assure timekeeping accuracy and water resistance. TAG Heuer servicing requires experience and high levels of skill to return your timepiece to its original specification, you can trust Michlmayr & Co to bring your TAG watch back to its best. Expert watch repairs from battery replacement to mechanism faults and cosmetic watch restorations, we’ll take care of your timepiece. 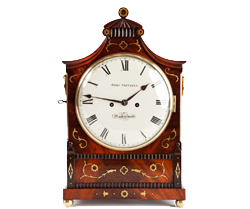 Modern and antique domestic clock repairs and outside clock repairs, from carriage clocks to clock towers, your clock is in safe hands. 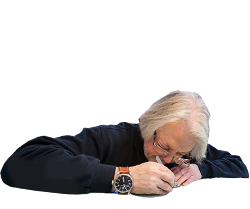 Meet our experienced, trusted team of watchmakers who will undertake your clock and watch repairs to the highest standard.